But I Don’t Wanna . . . Ever felt like this? Have you ever sat down at your desk to write and been struck by a mental thunderbolt of the “me no wanna” variety? Most of us have, I suppose. The question is what should one do in response. Basically you have two choices: to write or not to write. There are advantages and disadvantages to each decision. Only you can decide what works for you. If you are lucky and your muse is helpful, you will transcend the doldrums and produce some weighty and/or wonderful words–perhaps mediocre ones will even suffice. Eat an entire pint of Ben & Jerry’s ice cream without so much as one minute shred of guilt. Go take a nap in your hammock or lawn chair or bed. Heck, the floor will do in a pinch. Check out a movie at a nearby theatre. If it’s hot and you have no air-conditioning, this could be an excellent choice. Do yourself a favor and choose an Indie film like Moonrise Kingdom. Dance in your underwear to ridiculous music. Laugh out loud. Chase the dog or cat around the house. Play the drums on pots and pans in the kitchen with Benny Goodman’s big band playing “Sing Sing Sing” in the background. Do something completely out of character but completely legal. Whichever path you choose on a “no wanna” kind of day, trust it is the right one for the present moment. 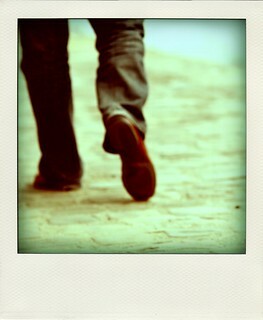 If you do decide to walk away for just one day, that’s o.k. Sometimes a break is the only option for your creative and mental health. Just be sure to sit back down tomorrow and get back to the business and passion of your craft. You are, after all, a writer. And writers write. Photo by Valentin Ottone used under Creative Commond License. Thanks!